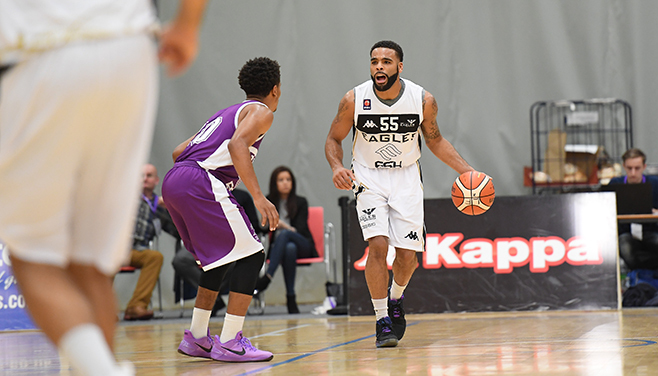 It’s been a blistering and brilliant start to the BBL career of Jaysean Paige and the Esh Group Eagles Newcastle star has cruised his way to the first Molten BBL Player of the Month award of the 2017-18 season. Head and shoulders above all other candidates in terms of his impressive performance efficiency valuation of 26.2, Paige caught fire early and has not relented during his first five BBL outings. The guard has helped his new team to stay perfect with his explosive start, which has witnessed him lead the league in scoring with 26.6 points per game – helped by a stunning 52.6% from downtown. He has also showed he can create as well as putting points on the board. Paige has also handed out an eye-catching six assists per game. It isn’t all about the offensive end either, with the league newcomer showing his class at both ends of the floor, contributing 2.6 steals per game – a number that puts him in the top three for that category.